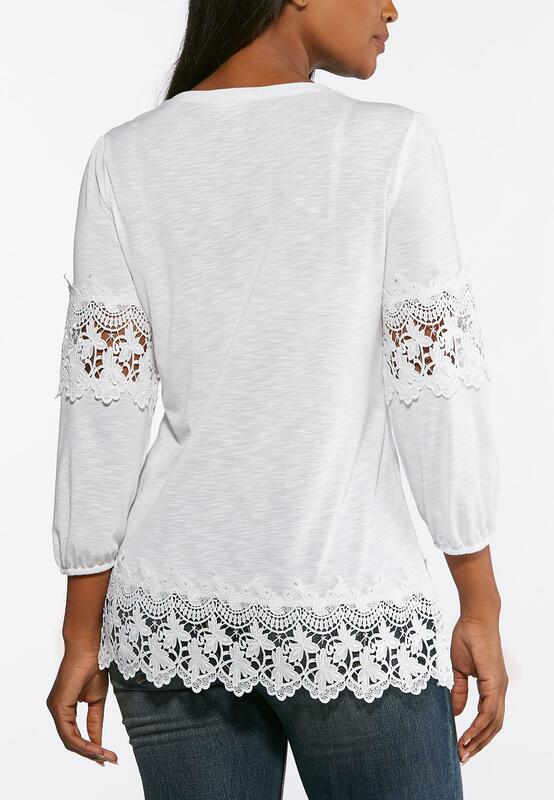 Show off your bohemian side of style with this easy knit tunic top, featuring crochet sleeves and hem. Wear this look with your favorite pair of jeans for an easy day or night look. 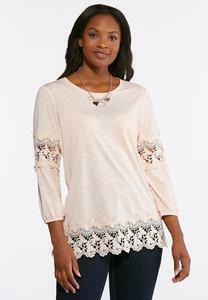 This top is adorable, I got the pale dogwood and I love the color.